Your children are special and you want the best of everything for them. At Stages Early Learning Enrichment Center we are dedicated to doing just that. Our staff will provide your child with the nurturing attention and care by catering to their individual needs, while providing guidance in an environment that fosters emotional growth and a well-rounded educational experience. 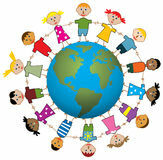 We offer specialized enrichment for infants through school age children. At Stages, children will encounter a balance of activities designed not only to ensure emotional, social, mental and physical growth but also provide the foundation needed for school success. “ Over the years I have found that most parents not only want a safe place that offers extra curricular activities for their children after school, but parents are also looking for a program that offers assistance to them by helping their children with homework, study and test taking skills. Spaces are Limited, before and transportation is available. We are currently enrolling all ages 6wks-School-Age.